As healthcare continues toward the goal of being able to access information anytime, anywhere, it is increasingly clear that cloud computing delivers the most efficient technology integration. 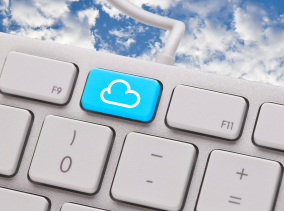 To achieve its goals, healthcare organizations need to go beyond just operating in the cloud. They need to work with a cloud partner who understands the complexities of the changing healthcare landscape. Verizon is that partner. Healthcare organizations should seek cloud partners who have corporate maturity in the protection and handling of customer data; are committed to long-term sustainability; have physical, administrative and technical security controls; mature compliance processes, policies and procedures; and the resources to satisfy the commitment to high-quality performance, according to Siki Giunta, senior vice president of cloud for Verizon’s Enterprise Solutions division. Verizon is a leader in the cloud and security service markets, and offers an extensive line of products and services to the healthcare industry. Among its outstanding cloud and data solutions is its Healthcare Enabled Services (“HCES”). Established in 2012, HCES combines cloud and IT infrastructure services that support resource-demanding healthcare applications. With Verizon’s HCES, healthcare organizations can store and manage electronic protected healthcare information (ePHI) outside its physical walls, access patient files on demand from almost anywhere making collaboration and coordination of care easier, and securely file insurance and other critical payment processing documentation. Services offered in the program include colocation (remote hands, smart hands); enterprise cloud (cloud plus back up); managed hosting (database, applications, back-up), as well as intrusion detection protection and log aggregation for cloud and managed hosting, according to Giunta. And with each service, Verizon also provides a HIPAA Business Associate Agreement and works closely with clients to safeguard their patients’ ePHI. “The top business drivers for hosting applications on the cloud for healthcare organizations are centered on cost effectiveness, speed of deployment and increasing efficiency in management of resources,” said Giunta. In addition to those areas of focus, according to Giunta, healthcare organizations need to consider using the cloud and cloud-related programs such as Verizon’s HCES for back-up and disaster recovery, imaging data storage and archiving, hosting of clinical applications, and data and healthcare information exchange. Understanding the importance to the healthcare industry of meeting the federal HIPAA requirements, Verizon recently expanded HCES to five additional data centers around the country. Healthcare organizations can now securely store their ePHI in Verizon’s data centers located in Richardson, Texas; Santa Clara, Calif.; Englewood, Colo.; Carteret, N.J.; Elmsford, N.Y.; Miami, Fla.; and Culpeper, Va.
Verizon’s HCES program offers healthcare organizations solutions that meet applicable physical, administrative and technical security controls for business associates under HIPAA; and have mature security controls, policies and procedures, according to Giunta. In addition to meeting a rigorous set of applicable HIPAA/HITECH security controls for business associates, many of the company’s data centers and services also meet key other compliance-defined security requirements, such as PCI-DSS Level 1 Compliant Service Provider, SSAE 16 (SOC 2) Type II Audited and ITIL v3-based best practices. “(Verizon) is a trustworthy protector of critical customer data and identities around the world,” Giunta said. About Verizon: Verizon Communications Inc. (NYSE, Nasdaq: VZ), headquartered in New York, is a global leader in delivering broadband and other wireless and wireline communications services to consumer, business, government and wholesale customers. Verizon Wireless operates America’s most reliable wireless network, with more than 108 million retail connections nationwide. Verizon also provides converged communications, information and entertainment services over America’s most advanced fiber-optic network, and delivers integrated business solutions to customers worldwide. For more information, visit www.verizon.com/news/.